So You Are Ready to go! – Tips to help Make it Happen! Tips can help in any business and Avon is a great company with an opportunity that can be matched by few. While it takes a little time and a little work, you can build a successful business with a good income. I hope to tell you here about some of the ways to get things moving and to help you get what you want out of your new Business! First Register Your New Avon Account and set up your e-Rep website. Take advantage of this great free advertising tool. Read more about this on Avon – Sell Online Successfully and Avon & Social Media. If your new Avon Team has a Facebook group, be sure to join. Hopefully you will pick up great ideas and motivation. Start checking out any Avon Incentives for New Representatives like the shown here and start setting your goals to make it happen. 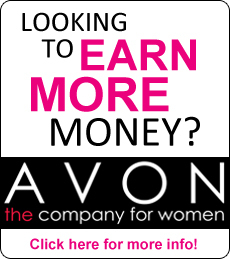 Avon offers a lot of incentives for Avon Representatives to earn prizes, trips, offers for samples, and many others. Be sure watch for emails from Avon with new incentives. When handing out your books try to get a way to follow up with them. Whether it’s an address, phone number, email address. The proof is in the follow-up in any direct sales and Avon is no different. Be sure to check back with any customers or potential customers before the order date to collect any last minute orders. Be sure to check your Avon Mailing Schedule so that you have plenty of time to collect orders before the day your order goes in by 11:59 p.m.
Be sure to pay whatever the estimated amount is that Avon asks for when you place your order, to be sure that your orders ships out on time. Also be sure to check your invoice when your order comes in to see if you owe any more money. The deposit amount that you pay to Avon for the items to ship to you include all of the items ordered out of the brochure. However, it does not include brochures that you ordered, samples, demo items out of the “What’s New” brochure or any business supplies. Remember that if you order products for yourself or your family it is best if you treat yourself like a customer with a receipt that needs to be paid. Be SURE to clear your Avon Balance before your next order goes in. As an established Avon Representative who has been selling for many years, I realize that online sales are growing and in order to truly succeed I must grow with them. Avon offers so many online promotions, plus the opportunity to shop in your pj’s, and the world has taken it to heart. So many families have both parents working and the time allotted for shopping is getting smaller and smaller. 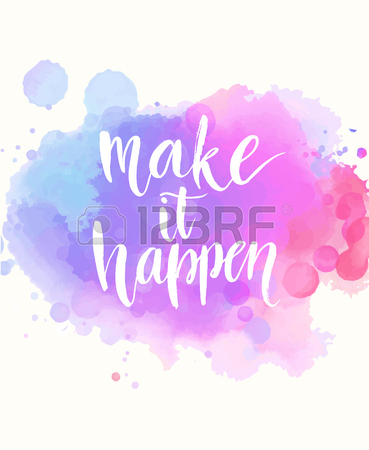 So as an established Avon Representative, it is my goal to Make It Happen with selling Avon online and I have begun to see progress daily.